But BBC political editor Laura Kuenssberg said the PM could be facing another defeat. But several MPs have tabled amendments – which set out alternative plans – including one from Labour that would force the government to come back to Parliament by the end of the month to hold a substantive Commons vote on its Brexit plan. However, influential Brexiteers from the European Research Group of Tory backbenchers are angry at being asked to support the PM’s motion. This is because it combines the view backed by a majority of MPs last month that the government should seek an alternative to the “backstop” with a separate move to stop Brexit happening without a formal deal. 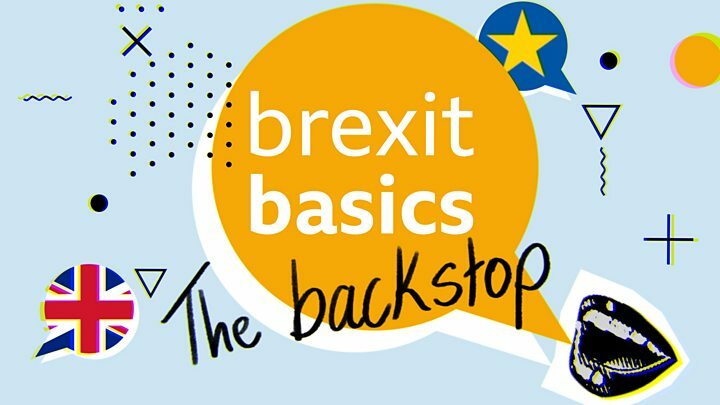 The backstop aims to prevent the return of customs checkpoints on the Irish border in the event that no trade deal comes into force. He said members had “pleaded” with Downing Street to change the wording, which he said goes back on what the prime minister has previously told MPs. “A senior ERG source says they haven’t decided whether to abstain or vote against, but they won’t back the government,” said BBC political editor Laura Kuenssberg. Most MPs want to avoid a no-deal scenario, fearing chaos at ports and disruption to business. But some Brexiteers have played down that prospect, arguing it is an example of “Project Fear”. MPs rejected the deal negotiated with the EU by a historic margin in January and the prime minister says she is seeking legally-binding changes to the controversial “backstop” – the “insurance policy” aimed at avoiding a return to border checks between Northern Ireland and the Irish Republic. The UK is currently due to leave the EU on 29 March, whether or not a deal has been approved by the Commons. Could Brexit cause a Labour split? You’ll be used to people in my kind of job saying things like, “these are critical days”. And hands up, on many of the occasions when a big move is predicted, a damp squib often comes along to squelch the expectation. What I’m about to say may well be a repetition of that familiar phenomenon. But I’m not the only person in Westminster this week to be wondering whether after many, many, many months of private conversations where this possibility was discussed, in the next couple of weeks, maybe even in the next couple of days, something that actually is critical is going to start happening. The prime minister has promised to return to the Commons on 26 February with a further statement – triggering another debate and votes the following day – if a deal has not been secured by that date. If a deal is agreed, MPs will have a second “meaningful vote”, more than a month after Mrs May’s deal was rejected in the first one. Mrs May told MPs on Tuesday she was discussing a number of options with the EU to secure legally binding changes to the backstop, including replacing it with “alternative arrangements”, putting a time limit on how long it can stay in place, or a unilateral exit clause so the UK can leave it at a time of its choosing. The EU has continued to say it will not renegotiate the withdrawal agreement. On Wednesday, European Council President Donald Tusk tweeted that “no news is not always good news”, saying the EU was “still waiting for concrete, realistic proposals from London”. The prime minister has also said she will lift the requirement for a 21-day period before any vote to approve an international treaty, which means she could delay the final Brexit vote until days before the UK is due to leave the EU. Former attorney general Dominic Grieve warned on Tuesday that time was running short for the ratification of a deal under the Constitutional Reform and Governance Act. The Act requires 21 sitting days before the ratification of any international treaty, to allow MPs to study the agreement. If there was not time for normal procedures, the government would amend the law around Brexit to allow it to be ratified more quickly.